Recent events in the sphere of English journalism have caused shock waves among members of the fourth estate. Things seem to have taken a turn for the worse in a land where giants in journalism flourished once. It is against this bleak backdrop that I write about one such colossus-Mervyn de Silva – who passed away on June 22nd 1999. 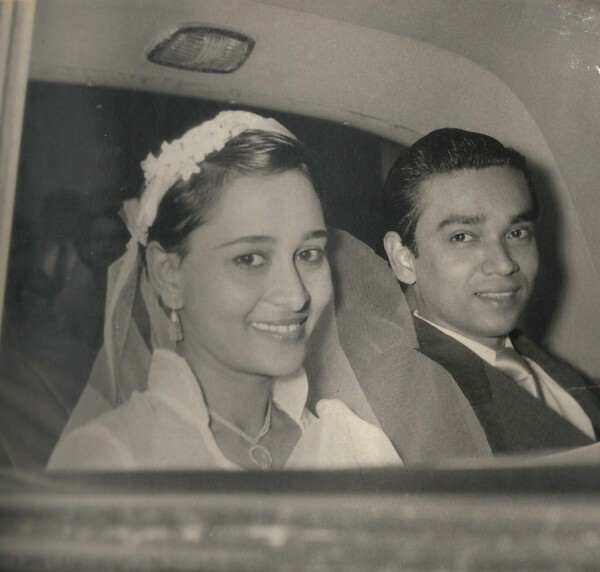 Even as I write, I am mindful that many have written much about Ahangama Vithanage Mervyn Douglas de Silva known generally as Mervyn de Silva. Apart from the “up,close and personal” perspectives of his son Dayan, many eminent persons ranging from Neville Jayaweera to Bradman Weerakoon and Desmond Fernando to Asanga Welikala, have stated all that has to be said about the Mervyn phenomenon. Despite this I venture to write or rather reminisce about Mervyn for two reasons. Firstly this is something I wanted to do for a very long time and is long overdue.Secondly because of a request made by Mervyn’s son and my friend ,Dayan Jayatilleka. Let me then wander down my own memory lane. I must emphasise that this piece is not an analytical assessment of the man or his work but only a personal account of my relationship with him. It was in the latter half of the sixties in the previous century that I began reading newspaper articles with interest. I was then a middle school student at the school by the sea. For some inexplicable reason I used to read by spreading the newspaper on the floor and straddle across it on all fours with the Chambers School dictionary by my side. Initially the articles which I was enamoured of greatly were in the sports and crimes section. TMK Samat and M. Edward/E.Mannaperuma(the same person) were my favourite by-lines. I became aware of Mervyn de Silva when he wrote extensively on the student unrest and upheavals in Europe in the late sixties. 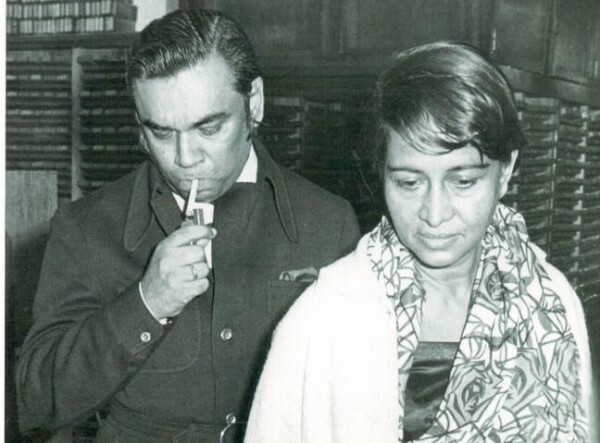 He also wrote about a childhood hero – Che Guevara.It was around this time that I started reading Denzil Peiris when he wrote a series of articles on Indian politics. My family moved from Colombo to Jaffna and I went to Jaffna College, Vaddukkoddai for my GCE A’Levels. One of my subjects was English.JH Ariyaratnam who was also the registrar at the Collegiate dept and an American missionary Rev.Alan Gilberg were our teachers. One noteworthy feature of learning English then was the perusal and comparison of editorials in the two main English morning newspapers, “Daily News” and “Daily Mirror”(this was not the current” Daily Mirror” but a previous avatar). The “Daily Mirror” was edited then by Reggie Michael whose fiery editorials replete with alliterations were read with relish. But in class we were told firmly that we should not emulate that flowery prose. The “Daily News” editorials were held up as worthy models of writing. The frustrations of the educated young Tamil at a time when even science graduates cannot find suitable jobs do not require much explication. The fact that these frustrations are universal and that they are shared by his Sinhala counterpart does not make the Tamil youth’s psychological load lighter. And if he feels, in fact, that the educational system and system of recruitment to the public sector have been deliberately contrived to reduce his chances, he has more reason for anger. An anger that reaches the limits of tolerance makes inflammable material for a certain kind of politics. With the wisdom of hindsight one realizes how perceptive and how prophetic Mervyn was so many years ago. It is indeed sad to see that much of the agony, bloodshed and destruction suffered by the Country could have been avoided if the situation had been correctly gauged then and remedial measures taken. Sadly the lessons remain unlearnt yet but I digress. The Goddess Saraswathie benignly overlooked my “class cutting” and I did gain University admission but I spurned it. After playing around for a while I went to India and became an undergraduate at Madras Christian College . I quit Thambaram and returned to Sri Lanka to become a Law student. Abandoning law half way, I joined the “Virakesari” in 1977 as a journalist. At last I had found my vocation! Meanwhile Mervyn de Silva who was Editor in Chief and Editorial director had been fired from Lake House. He then became Editor in chief at “Times of Ceylon”.He was sacked from that post too. It was then that he started the fortnightly magazine“Lanka Guardian” in May 1978. This was the time when the weekly “Tribune”edited by SP Amarasingham was losing its lustre. The”Lanka Guardian” began filling in the alternate media space . For youngsters like myself yearning to gain insights unavailable in the mainstream newspapers the “Lanka Guardian” was manna from heaven. The magazine was out on the stands on the 1st and 15th of every month.I would purchase it promptly and read it from cover to cover. I never thought of contributing to it because I regarded myself as a journalist writing only in Tamil then. I collected every copy of the “Lanka Guardian” those days. All were lost in July 1983. I used to run across Mervyn on a few occasions but did not dare to approach him directly.Mervyn,Sira, Clarry, Dalton,Menik, BHS,Joe,Felician etc were all reputed names in the profession and lesser fry of our ilk were like kids in their presence. We spoke only if and when we were spoken to. My life changed completely after I entered English Journalism by joining Upali newspapers in 1981.As a reporter on “The Island” I started to cover Trade Unions and Customs. Soon the Editor Vijitha Yapa and Deputy Editor Gamini Weerakoon assigned me to the “Tamil” round. I was required to cover Tamil politics and militancy. With the Tamil armed groups engaging in several operations the demand for the Tamil beat began increasing. I found myself hogging the lead,outside lead or super lead story by-lines very often.In fact “Gamma” Weerakoon used to quip that the paper was no longer the “Island” but the”Peninsula”. I also got a chance to write a Sunday column “Behind the Cadjan Curtain”. Mervyn de Silva was writing a column for “Sunday Island” then. It was titled” Men and Matters”. He adopted the pseudonym Kautilya for it.Sometimes he would deliver it personally on Saturdays. After spending a little time he would depart often taking Ajith Samaranayake with him. My Saturday time-table those days was breakfast with ace cartoonist Wijesoma and lunch with Ajith. In between came a session with Gamma. So when Kautilya cut in and hijacked him, Ajith would apologize to me and go off with Mervyn . I was rather envious of Ajith then as a pow-wow with Mervyn was something greatly desirable. Those were the times when the “Sun” newspaper was in direct competition with “Island”. The Tamil issue was perceived as a security issue alone by the “Sun”whereas the “Island”editor Yapa had a more liberal,enlightened view. The “Sun”had Ranil Weerasinghe covering the “Tamil” round through the prism of security. Ranil was my contemporary at St. Thomas’ but professionally we were in competition. One of my first tasks in the morning was to check out what Ranil had written or not written.Sadly Ranil Weerasinghe died of illness shortly after the July violence in 1983. It was well known in journalistic circles that Ranil and I were rivals in the field.It was during this time that we both gained an honourable mention in “Lanka Guardian”. Mervyn in one of his commentaries had referred to both Ranil Weerasinghe and DBS Jeyaraj praising us both for providing information from different perspectives.He complimented us for complementing each other. I was thrilled. I still remember taking the magazine to Vijitha Yapa and showing him the passages.Vijitha told me “Mervyn thinks highly of you”. This was like music. I then told Ajith who replied “Mervyn often refers to the info in your stories”. I was elated. And then came the moment I had been waiting for . One fine Saturday,Mervyn came to Office and then departed with Ajith. Within a few minutes Ajith returned and told me “Mervyn wants to know whether you would be free to join us now”. An invitation from Mervyn the Great? Of course I was free! I too joined them and headed out to Capri. I was formally introduced to Mervyn by Ajith.That was the beginning of my personal relationship with Mervyn.In the early stages Ajith and I together with Mervyn formed a trio on those special occasions.With the passage of time there evolved a personal equation between us both. There came a stage in 1986-88 when Monday was Mervyn day for me. He would either pick me up in a cab or three-wheeler or telephone around noon on Mondays to come to either the 80 or Orient club. We would talk of many things while partaking of liquids to wet throats made dry by talk. At one point Mervyn’s wife Lakshmi would join us. Afterwards Lakshmi would drive us home in her car .I would be dropped at the ICES in Kynsey terrace. This was almost routine until I left Sri Lanka. I looked forward to those Monday meetings and conversations with Mervyn.He would first ask me about what was happening in the North and East,What was going on among Tamil politicians and militant organizations and also the scene in Tamil Nadu.I would answer and then ask him in turn about major events taking place nationally and internationally. He would then respond. The conversation both interesting and informative was mutually beneficial. The tone and tenor of the talk was always light –hearted. Mervyn would lace it with peppery witticisms and satiric remarks. He would laugh often and loudly. He had a great sense of humour and would see something funny in almost everything. He would be flippant about serious topics.He was a delightful person to engage in conversation. At times he would relate anecdotes. He would also pass on a few tips about on going happenings. I would follow them up later and get a good news story with more facts. He would only say “I saw your story” but I could see he was pleased with me. We would also run into each other at cocktail receptions. We would be in our different circles but very often Mervyn would call me over to his group. He would then introduce me to the others and draw me into the conversation. My initial introduction to many politicians, diplomats, officials and artistes were through Mervyn. Mervyn like many senior journalists of his time would never praise a younger colleague to his or her face but would do so to others. I realized that Mervyn was saying complimentary things without my knowledge to others. One example was with former Diplomat Neville Kanekaratne who had returned to Colombo after a stint abroad. This was the time when the Indian Army was deployed in Sri Lanka under the nomenclature of Peace Keeping Force. Since Mr.Kanekaratne had lots of experience with UN peace keeping forces in Africa I wanted to talk to him about those matters. When I telephoned Neville I found him reluctant to talk. I hung up. A few days later he called me personally and asked me to come over. When I went to meet him Mr. Kanekaratne greeted me by saying “I say Mervyn tells me you are one of our bright young journalists”and then proceeded to talk freely with me and answering all my questions frankly. This change of attitude towards me was obviously due to Mervyn. It was in the mid-eighties that Mervyn’s son Dayan (named after Israel’s Moshe Dayan) Jayatilleka had gone underground after being proclaimed as wanted. I was then in Jaffna working as Deputy –Editor of the “Saturday Review”. A rumour spread in Jaffna that Dayan had been arrested. I rang Mervyn immediately from Jaffna. When I mentioned the name Dayan he laughed it off saying “I don’t know what you are talking about”. I hung up.Later in Colombo while I was talking to Mervyn, he began chiding me for that telephone call. “Don’t you know the phone is tapped?” he asked. During my stint at “Saturday Review” I tried to write some news stories and articles about events in Colombo. Mervyn recognized my attempts in this direction. He advised me to keep Jaffna as the focus and not Colombo. “What we want is authentic stuff about Jaffna related issues from a Jaffna based periodical” he said. Mervyn also wanted me to write a regular feature from Jaffna about happenings there and even envisaged the column heading “Inside Jaffna”. Unfortunately my links to “Saturday Review” ended abruptly due to circumstances beyond my control. With that went the “Inside Jaffna” idea. It was Mervyn who told me first about I.F. Stone. Isidor Feinstein Stone was an American journalist regarded as fiercely independent and iconoclastic.Forced out of mainstream journalism due to Mccarthyism ,Stone started his own weekly called”I.F. Stone’s Weekly”. He ran it for 19 years without relying on newsstand sales or popular advertisements. The weekly was posted to subscribers amounting to over 85,000 at one time. One of the things I did when in the US on a Nieman fellowship was to scour second hand book stores for the collections of articles by I.F Stone. To my joy I found three books. Stone was a devastating critic of the Vietnam war. He was also sympathetic to the Palestinian cause though initially he supported the creation of Israel. 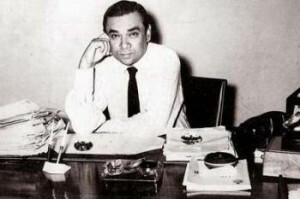 Apart from running the “Lanka Guardian” Mervyn de Silva also contributed columns and articles to mainstream newspapers in Sri Lanka. He also wrote for many foreign journals,magazines and newspapers on Sri Lankan affairs.While he reported on Sri Lankan affairs for foreign media,Mervyn specialized in reporting on world affairs for the local media. In this Mervyn was somewhat “intermestic”. The term “Intermestic” was first used by Henry Kissinger to explain international issues having domestic economic implications like for instance the middle-eastern situation abroad impacting on the price of gas in the US. The term coined by Kissinger took the “inter” from International and “mestic” from Domestic. It was however Mervyn de Silva who popularised the term in Sri Lanka. Mervyn applied the term to all issues crossing the boundaries between the International and the domestic and belonged to both spheres thereby necessitating this sub-category. By the same token,Mervyn too was at the interface of the International and domestic . He was the analytical interpreter of foreign affairs issues for Sri Lankan readers. Likewise he was the analytical conveyor of Sri Lankan issues to overseas readers. A Mervynised version of Intermestic. Mervyn was someone who refrained from sentiment outwardly. One day two distinguished ladies in Colombo , one an academic and the other a filmmaker discovered it was Mervyn’s birthday and descended upon him with presents taking him completely by surprise.I too accompanied them. Mervyn steadfastly refused to acknowledge it was his birthday and declined the gifts.When the disappointed ladies were about to leave, Mervyn bade me stay.After they left, Mervyn chortled with glee to me “lets have a birthday booze”. Another incident I recall was when I was fired as the Colombo correspondent of the Indian daily”The Hindu”. It was an unfair act as the only offence I had committed was exposing an atrocity by the Indian army in Jaffna. Naturally I was indignant and was letting off steam by saying how wrong the “Mount road Mahavishnu” was. I was almost screaming.Mervyn looked at me quizzically and said with a chuckle”I wont let him write even the third lead if I was the Editor”. He was referring to a bigwig at the paper. I started laughing. In one stroke Mervyn had calmed me down. Mervyn’s prose was elegant and brilliant. So too was the man. He was a flamboyant personality who dressed with sartorial elegance.He was a smart handsome man with striking features. His voice and tone too were captivating. His looks have been compared to actors of yore like James Mason and Richard Burton. Myriads of journalistic accomplishments are credited to Mervyn de Silva. Many of these were before I came to know him. One journalistic feat of his that I witnessed and impressed me greatly was the scoop he had on the Indo-Lanka accord of July 29th 1987. Mervyn scooped it for the London “Financial Times”.He was then closely associated with both President JR Jayewardena and Indian High Commissioner JN Dixit. Mervyn would refuse to reveal his source and deadpan “A copy was pushed under my door”. As I stated earlier I have only focused on Mervyn from a personal perspective in this article.Mervyn de Silva is a vast subject with layers and layers to write about. As a journalist he had been a reporter, sub-editor,feature writer, columnist, critic,reviewer, Interviewer,commentator, Lobby correspondent, political analyst, foreign correspondent, Deputy Editor, Editor, Editor in Chief and Editorial director. He also did radio talks and even appeared on TV. Mervyn’s interests too were multiple.Literature, poetry,drama, cinema, contemporary affairs, politics etc. He blossomed as a critic and reviewer first and moved on to leader and feature writing next. He turned more and more to politics and foreign affairs, gradually becoming the foremost analyst and journalistic commentator of our times. Different people have different views on who in the Sri Lankan context was the greatest journalist of them all. It is a very difficult question and the answer is most often subjective. To my father Tarzie Vitachi was the best. To my mother Regi Siriwardena was the best.To me it is Mervyn de Silva. I look forward to the time when more collections of his writings on multiple topics are published in addition to “Crisis Commentaries” published by the International Centre for Ethnic Studies. I would be particularly interested in the pieces written by him under the nom de plume Daedalus a character in greek mythology.Homer describes Daedalus as a skilled craftsman who created the cunningly intricate labyrinth on Crete.To Homer exquisitely constructed objects are Daedelean. Subsequently Daedalus was seen as being trapped in his own creation. During the romantic period Daedalus came to denote the classic artiste or skilled craftsman. In modern English Daedalian has become an adjective meaning complicated or convoluted. Interestingly James Joyce in his “portrait of the Artist as a young man” names the protagonist Stephen Dedalus who envisages himself as an artist with wings flying above sea waves towards the Sun.Now why did Mervyn choose to write as Daedalus in his youth? I began this article with a quote from Dylan Thomas , someone for whose poetry Mervyn and I had high regard. Though sorely tempted I will not conclude by quoting Dylan’s lines on raging against the falling of the light and not going gently into that night. “If I could meet up with Mervyn’s Ghost at some waterhole, say at the Capri, and discuss the potentialities of internet for his abiding engagements at the coalface of political events. He would undoubtedly be excited by the growth of citizen journalism of the type presented to Sri Lankan enthusiasts by Groundviews, Transcurrents and the Sri Lanka Guardian. If one could entice that old journo, David Jeyaraj, to join us, then, I would retire after just one drink (I get headaches with more) and let Mervyn’s Ghost and DBS jaw their way through the night with the requisite lubrication sustaining the jaw”.